The BlackBerry Classic was just introduced to the world and BlackBerry wants to show its faithful fans as much of it as possible. The maker has prepped up a number of videos both in promo and live fashion that reflect on its new smartphone and the loyal BlackBerry users for which it was made. You can find the videos after the break. The first video is the usual promo video which focuses on the phone itself and every angle of it. The key word here is upgraded – BlackBerry obviously takes pride in bringing a beefed up Bold 9900 in the form of the Classic. 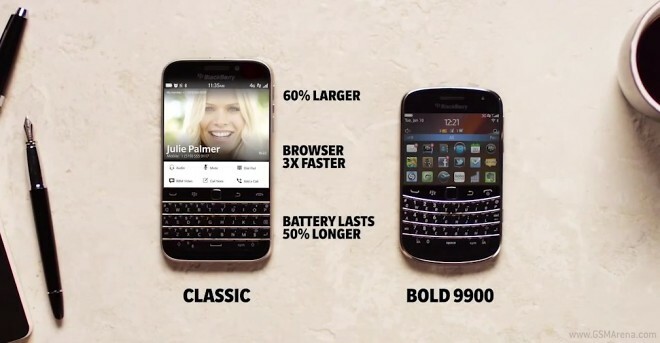 But what is classic anyway – well BlackBerry has the answer for that too. BlackBerry also did an official unboxing of the Classic. The company has done this one before and we find it to be very informative. The Classic has the standard retail content – microUSB cable, A/C adapter, headphones with microphone and a tangle-free cable and user guides. Finally BlackBerry wants to thank its users for sticking with it and shares tweets from people excited about the Classic.